Best Resource for Indigenous Boats Ever! Pointed out to me by Capt. 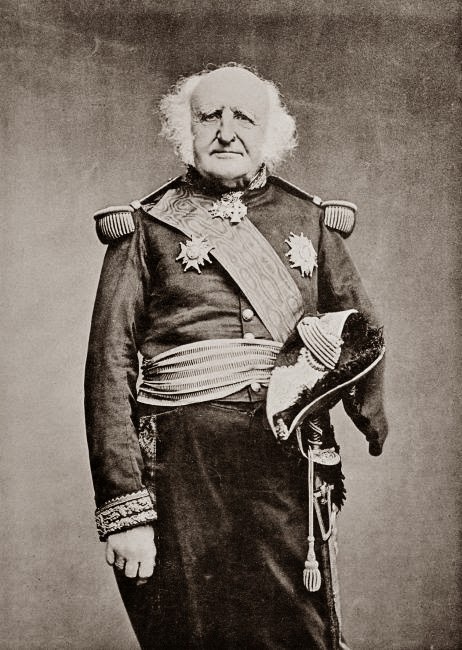 Robert Whitehurst, Admiral Paris's book is available for download in numerous formats at the Internet Archive. The work is subtitled Collection des navires et pirogues construits par les habitants de l'Aise, de la Malaisie, du Grand Océan et de l'Amérique (Collection of ships and boats built by the inhabitants of Asia, Malaysia, the Great [i.e., Pacific] Ocean and the Americas). In spite of its length and apparent comprehensiveness, the subtitle omits Africa, which is also represented in the book. 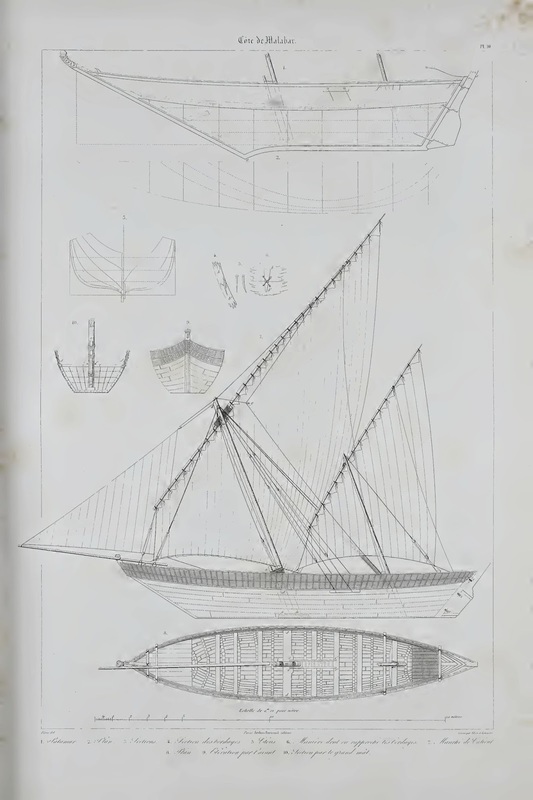 Along with thousands of detailed, measured, engineering-style drawings and lines drawings, Paris includes hundreds of wonderful sketches of boats in use in their native habits -- wonderful as much for their artistry as for their detail and accuracy. Just to try to get you to go over to the Internet Archive to view (and hopefully, download) the entire book, I'll include a few representative images here. 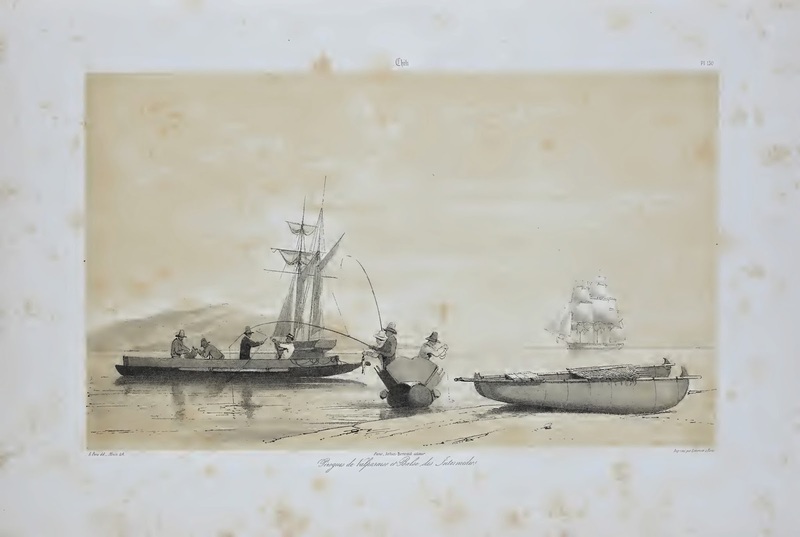 Log boats, single- and double-outrigger canoes, umiaks, kayaks, bark boats, dhows, rafts...these are just a tiny sampling from a superb resource that has the power to hold the attention of any indigenous boats fans for hours. Do yourself a favor and check out the full document. 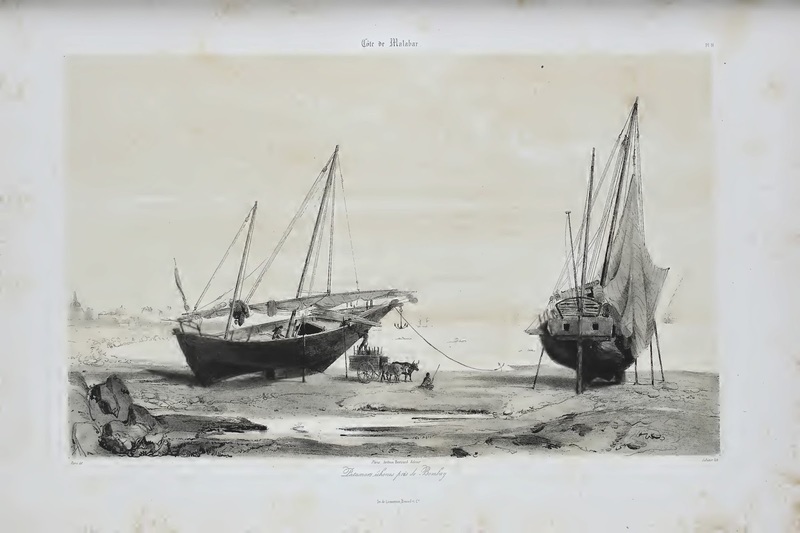 Reader Deek Rose steered me toward his video of boats in Bangladesh. The footage in Always a River to Cross was shot in 1996 and 1998. The work's title obviously refers to the geography of Bangladesh, which is essentially a huge delta of the Ganges and Brahmaputra rivers. Getting anywhere in Bangladesh, especially during the wet season, usually involves water transport. What struck me most about the video -- aside from the beauty of Rose's photography and the skill of his editing -- was the variety of propulsion methods used on traditional boat types. 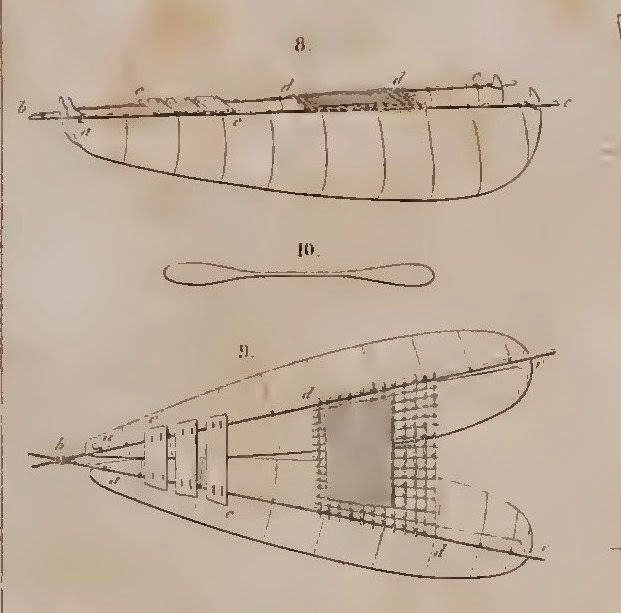 There are several types of oars, oar pivots, and styles of rowing; poling; paddling; spritsails of more than one type; stern sculling; inboard engines; and engine-powered towing. There are also fascinating boat types to note and some footage of boatbuilding activities. Overall, a fine video. Thanks for sharing, Deek!